I just the liquify effect to play with the rainbow image for today - my favourite daisy from the garden. @susiemc this daisy of mine flowers some purple and some white but with the purple centre. 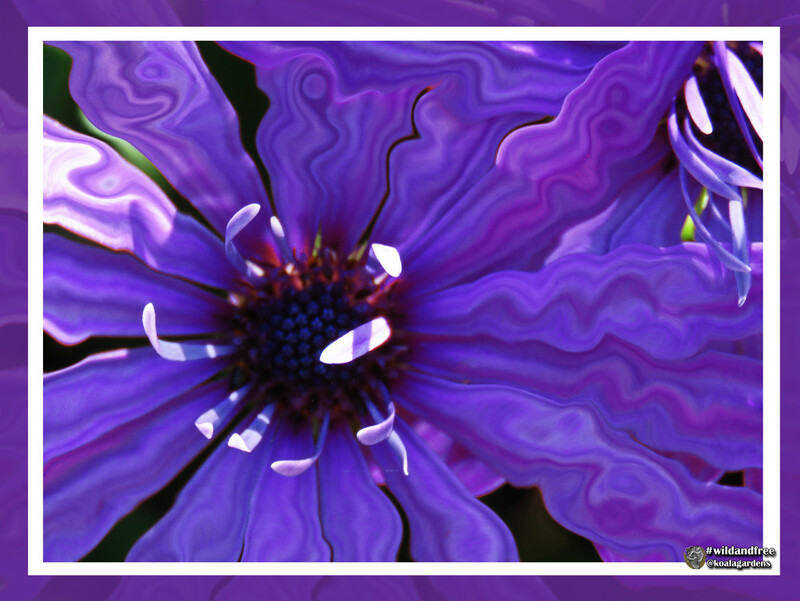 lovely purple flower - liquefy is an interesting effect, having played around with it - did you put this in the right album? Your processing makes me eyes go woozy!! This is lovely...great color sense of movement.